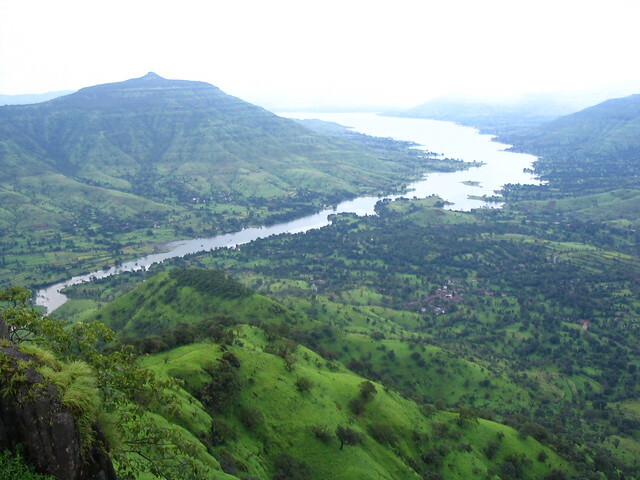 Mahabaleshwar is a well-known hill station in Maharashtra and India. This is very beautiful hill station blessed by nature. The famous Krishna river originates from the Mahabaleshwar itself and travels in east direction. The tourism has well-devloped in Mahabaleshwar. It is one of the most visited tourist destination during vacations in Maharashtra. This place is really having many mind blowing scenarios, which can easily attract any person. Mumbai is the largest city in Maharashtra and India. Mumbai is the capital of Maharashtra and also the most important commercial center in the state. Mumbai city has always been the favorite destination for many tourist. Mumbai is the home to many Bollywood actors. The beautiful beaches, fantastic malls, gardens and many more places have been the main attraction point. Some of the festivals are celebrated very zestfully and unitedly in the Mumbai city. Malshej Ghat is a wonderful place situated in the Western Ghats region. This place is near from Mumbai and Pune. There are are amazing valleys and waterfalls, which are very worth watching. Monsoons are one of the best times to visit Malshej Ghat, experience fresh cool atmosphere and mind blowing waterfalls every where. There are various kinds of attractive birds here. Shivneri fort which is the birth place of Chhatrapati Shivaji Maharaj is very near from this place. Panchgani is another tourist destination, which has been attracting many tourists since long time. This is even a hill station, which is well suited for doing various activities like trekking, adventure sports and enjoying various natural beauty. There are some interesting points to visit here like Sydney point, Parsi point, Devil’s kitchen, Table land, etc. The names of these places are amazing too. This is really nice place to visit. The shooting of well-known movies like “Taare Zameen Par” and “Agent Vinod” has been done here. Rajgad fort is a fantastic place to visit. Many of the trekkers do visit this place very often. This fort is located around more than 4000 feet. It was the capital of Maratha Empire for some time during the Chhatrapati Shivaji Maharaj regime. The tourists visiting this place should be well-prepared with necessary equipment, as this place is at a little heighted place. Aurangabad is a well-known place in Maharashtra. The popular caves of Ajanta Ellora caves, which are listed in the world heritage sites by UNESCO are situated in Aurangabad. Many tourist visit this place every year to see Ajanta Ellora caves. Another monument which is attracting the tourist is the “Bibi Ka Maqbara”, which is also called Taj of Deccan. Sindhudurg Fort is another amazingly built fort in the middle of the sea. The fort is particularly built along western coast of Maharashtra, near the Malvan town. This fort was built Chhatrapati Shivaji Maharaj to counter foreign invaders from sea. The walls of this fort are very strong and the whole fort is built in a great strategic way. Tourist do enjoy visiting this fort, which gives great feeling to them. Nighoj village is very fascinating place in Maharashtra, which lies in the Ahmednagar district. The riverbed of kukadi river is having some miraculously formed potholes in the rock. Every geologist are eager to visit this site. Many of the tourist do visit this Nighoj village. Lonavala is an awesome hill-station which is very popular in Maharashtra. There are some beautiful points which can really stun you. Many of the tourists do visit this place every weekends as this place is very near from Mumbai and Pune as well. There are lots of facilities also provided to the tourists here, with some excellent hotels. Nashik has been one of the most attractive destination in Maharashtra from many people in India. This place has been mentioned in many times in Hindu mythology. The Godavari river originates from here. Many tourists visit various places like Trimbakeshwar, Panchavati and many other places here. Apart from that the tourist also like visiting some caves here and like doing some trekking. Oh sure…we are working on to add more posts on Maharashtra. We are adding more posts on Maharashtra. Great list! I’m so happy I found your blog as we’re planning to be back in India in 2018 to travel as long as we can. We were there once before and fell in love with the country. I’ll definitely follow you to keep up with your suggestions!